MAJOR REFIT 2017! OWNER HAS NEW BOAT COMING OUT OF THE SHOP AND THIS ONE NEEDS TO GO. $26K PRICE REDUCTION AND MOTIVATED SELLER. 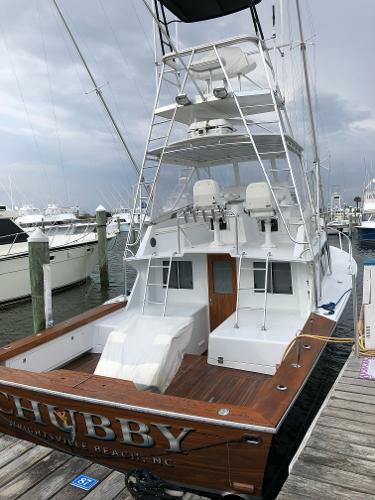 COME AND GET HER... YOU CAN NOT FIND A BETTER BOAT IN THIS CLASS FOR THE MONEY....The Liberty Yachts 42 design is the product of an original Blackfin client who desired the lines, ride and seaworthiness of the Blackfin 32 in a bigger and beamier package. CHUBBY is a beautiful example of the thought and craftsmanship that emerged from this idea. Built in 1995, she has been constructed, laid out, powered and outfitted in a very well thought out manner. There is no encapsulated wood anywhere in this boat. None. There will never be an issue with rot or soft spots. The centerline of the hull bottom is a laminated 20 layers of solid fiberglass. The hull, sides and transom are airex core sandwiched by 3/4 oz. mat and many layers of fiberglass. The hull bottom also has layers of kevlar mat within the laminate. The decks and cabin are built of core cell sandwiched by layers of fiberglass. The result is a very sturdy and rigid platform that is super light relative to its strength. An equal amount of thought was also given to her power selection, as she is propelled by a pair of MAN 2848LE 401 commercially rated engines. These are beefy V-8 motors that are generating only 510 hp per side. Like the strength to weight ratio in the hull, these motors are derated to produce less horsepower relative to their volume. They were selected for their dependability and the fact that in this application, they should 'last forever'...Many in the industry consider these to be 15K-20K hr. motors and they shove the CHUBBY along easily at a 28 kt. cruise with a top speed of 34 kts. The list goes on and on in regard to the nature of how this boat was fitted out. The steering, the filtration, the air system, the thru-hull fittings, the electrical system, the weight distribution, the layout, the chair selection, the ease of maintenance...With new paint, generator, batteries, charger, helm console, bridge enclosure, deck hardware, electronics, refurbished teak.....She's ready to roll. 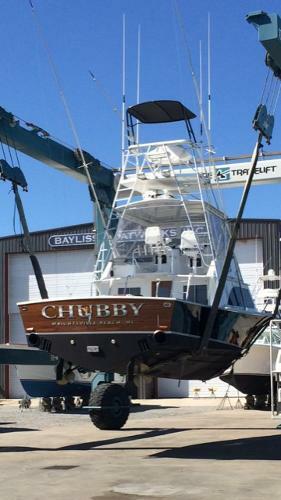 If you understand the process of building and maintaining a boat, you will especially appreciate this one. Take the time to come to NC and look the CHUBBY over. 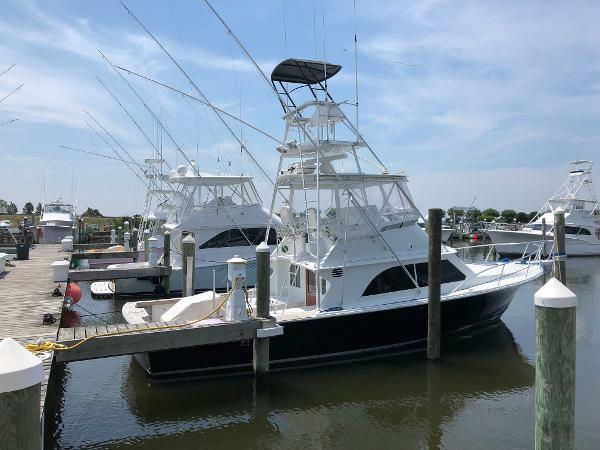 She's an impressive vessel and will make the next owner very happy for many years to come.